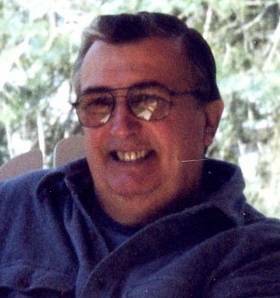 James Buchholz, 74, of Cedar passed away in the afternoon of September 17 at Munson Medical Center surrounded by family. James was born July 22, 1942 in Dearborn to Katherine and George Buchholz. From an early age, James developed a love of cars. At sixteen, James purchased his first vehicle, a Plymouth Shaker which he immediately modified. This never failed to impress a young Judy Spurrier, and the two started dating at fifteen. A few years later, the two were married in Detroit in 1964. In 1972, the couple moved with their three children to Cedar to a house that James built. Judy began work at Glen Lake Community Schools and James started work as an engineering draftsmen. James loved the outdoors, enjoying hunting, fishing and boating, spending many hunting seasons on Drummond Island and salmon fishing on Lake Michigan. He spent many years relishing the company of friends and family until his years-long battle with rheumatoid arthritis caused him to be confined to a wheelchair. Still, James never lost his fighting spirit and cherished his time with his family, especially his grandchildren, nieces and nephews. James Buchholz was a kind, loving man who cared about his family more than anything. He loved when his grandchildren came to visit him and learn all about their daily lives. He never ceased to complete demanding chores despite his limitations. After a hard day’s work, he would reward himself with a Bud Light or a glass of Leroux and settle back in the comfort of his reclining chair. To his grandchildren, James was a spirited man who always had a smile upon his face. James was preceded in death by his parents. James is survived by his wife Judith of 52 years, his sons Gregory (Mandy) Buchholz, Scott (Sheila) Buchholz and daughter Cindy (Sean) Jones. He is also survived by his sister Georgiana (Patrick) Bruen and Kenneth (Lynn) Buchholz. Finally, he is survived by his grandchildren Jordan Buchholz, Olivia Jones, Tyler Buchholz and Jack Buchholz. As per the family wishes, there will be a gathering celebrating James’s life at a time and place to be determined later. Please visit www.lifestorytc.com to sign the guest book and share a message with the family. The family chose Life Story Funeral Home, Traverse City.